Athenahealth reports Q3 results that had been pushed back a week: revenue up 9 percent, adjusted EPS $1.08 vs. $0.56, beating earnings expectations but falling short on revenue. The company also delayed its earnings call one week to Monday afternoon after the market’s close. The unexplained delay might indicate that an announcement about its acquisition interest will be forthcoming. Veritas Capital and Elliott Management were rumored a couple of weeks ago to be close to finalizing their acquisition of the company. UPDATE: Reuters reports that Veritas Capital and Elliott Management will announce Monday that they will acquire Athenahealth for $135 per share. ATHN shares closed Friday at $120.35. 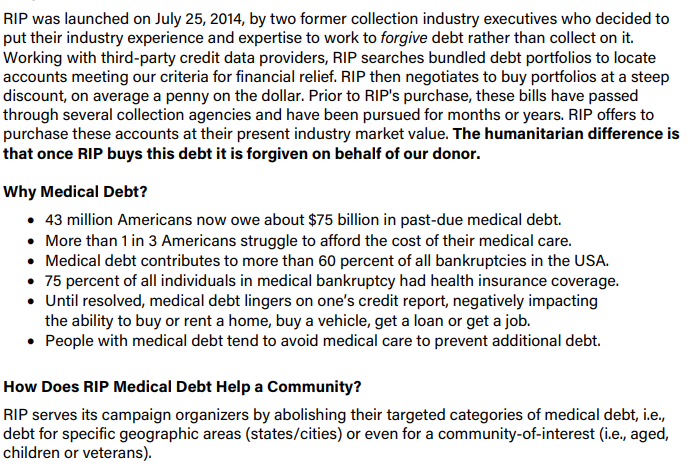 It’s kind of sad that charity RIP Medical Debt is even a thing. It buys discounted portfolios of medical bills that have been characterized as uncollectible, then pays them off for consumers who meet its need-based criteria. By then, I would assume that the debtor has moved on, has had their credit destroyed, or didn’t plan to pay their bill anyway. Whoever is holding the debt will appreciate having it paid, I suppose. Providers won’t see the money since the accounts were already written off and, as with all other healthcare discounting and contracting, the rest of us are covering their shortfall. 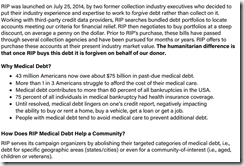 RIP Medical Debt estimates that Americans owe $1 trillion in medical debt. Each $1 donated to the charity allows $100 in debt to be purchased and forgiven. Harvard Medical School’s $200 million pledge was from Ukraine-born Sir Leonard Blavatnik, the wealthiest man in the UK at $21 billion. HMS will spend his money on research projects and startups that presumably won’t offer anything free to patients. Neither of these news items necessarily benefit patients or help improve our mess of a healthcare non-system that ignores public health, is left to deal (poorly) with health-harming economic disparity, and is controlled by a politically entrenched industrial complex (including all of us reading here) whose cost is eating up close to 20 percent of our gross domestic product. From Choosy Mothers: “Re: health IT books. You should write one about HIStalk.” A description of how I fill an empty computer screen each day wouldn’t make a compelling read, but I’ve seen some awful books published since Amazon lowered the bar with self-publishing tools. Some healthcare executives have hired vanity book services, where you pay them to repurpose whatever you have lying around (presentations, blog posts, interviews, etc.) into a “book” that requires nearly zero effort, inspiration, or intent to deliver reader value (and authors can even game Amazon’s system into declaring their crappy book to be a “bestseller.”) The worst thing about the democratization of publishing platforms (blogs, podcasts, social media updates, and even hard-to-fill speaking spots for an excessive number of conferences) is that we’re all being bombarded with lightweight, poorly written, ego-stroking and resume-padding filler that an objective editor would have rejected or at least helped improve. On the bright side, it’s easy to identify who to ignore since they’re laying the evidence right in front of you. HIMSS19 attendance bookmakers might be interested that nearly twice as many HIMSS18 attendees will skip HIMSS19 than non-attendees of HIMSS18 who will go this time around, which on election night would have stoked lengthy analysis and discussion about whether it’s a wave, to whose benefit, and for what reasons. New poll to your right or here: Who is most responsible for clinician-unfriendly EHRs? Vote and then click the poll’s comments link to explain your vote or the solution you would recommend. Sunday, November 11 is Veterans Day (celebrated Monday), set aside to honor all US military veterans. You can attend a parade or celebration; fly the flag; visit or volunteer at a VA hospital; ask your employer to honor veteran co-workers; arrange to anonymously pick up a veteran’s check at a coffee shop or restaurant; or I suppose just pay your taxes to support the VA’s $10 billion Cerner contract that hopefully will benefit veterans. Or you do nothing at all because the country they served allows that, too. Health IT news is uncharacteristically light as everyone in the industry focuses on honoring veterans (OK, maybe that’s not the reason, but I don’t know why otherwise). It’s not a holiday for most of our industry, so you can at least take a mental vacation for the few minutes of saved reading time. Parkview Medical Center (CO) chooses Access for electronic signatures and forms. Andy Slavitt’s HAMA Forum article enumerates the Triple Threat to the Triple Aim: (a) health disparities associated with income, location, and race; (b) the “single aim” of revenue that overshadows the more important aims; and (c) the weaponization of healthcare by unresponsive politicians and lobbyists. Executives of S&P companies are dropping their references to blockchain in earnings calls, analysis finds, with buzzword-dropping down 80 percent as its shareholders stopped believing the hype and share prices stopped increasing accordingly. 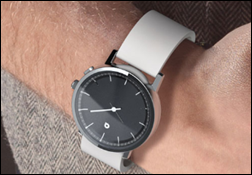 CNBC notes that alumni of the failed wristwatch-powered blood pressure monitor Quanttus, formed by MIT researchers in 2012 and shut down in 2016, have moved on to Verily, Apple, Google, and other big consumer firms, some of which are working on blood pressure projects of their own. PointClickCare names Liaison Technologies its Partner of the Year. Lightbeam Health Solutions will exhibit at the 2018 Institute for Quality Leadership November 13-15 in San Antonio. Waystar and Surescripts will exhibit at the NextGen One Users Meeting November 11-14 in Nashville. Netsmart will exhibit at the VAHCH Annual Conference November 13 in Glen Allen, VA.
Nordic, Clinical Computer Systems, developer of the Obix Perinatal Data System, and The SSI Group will exhibit at the HIMSS GC3 event November 14-16 in Mobile, AL. Philips Wellcentive will exhibit at the AMGA 2018 Institute for Quality Leadership November 13-15 in San Antonio. Wolters Kluwer Health donates Lexicomp app subscriptions to clinicians working aboard Mercy Ship hospitals. ZeOmega will exhibit at the TAHP Managed Care Conference and Trade Show November 12-15 in Houston.